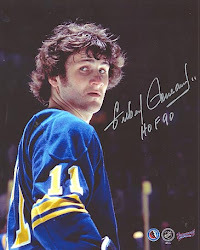 buffalosabresnow: Shake up or stay the course in Sabreland? After the Buffalo Sabres were drubbed in a 5-1 loss at Dallas on Saturday night, head coach Phil Housley said that his team got "the start they wanted" against the Stars, but were unhinged by "a couple of bad bounces." He would go on to say that he thought his team "played well" even though "the score tells you differently." Housley also said that he thought a lot of people would disagree with his assessment and sure enough, from the beat writers on down, there's plenty of disagreement. "The Sabres have a fragile psyche, so maybe the coach didn't want to pile on in public," wrote Sabres beat writer John Vogl of The Buffalo News. "Maybe it was his way of not burying goaltender Robin Lehner, who got yanked after allowing three goals on seven shots in 10 minutes. Further review of the game and Housley's wording would render his assessment. Through the first 10:27 seconds the team did play well. The Sabres had plenty of puck possession and spent a good portion of the first three minutes in the Dallas zone before Lehner and defenseman Matt Tennyson miscommunicated in their own zone. A weak shot on net from the half-wall fell to Lehner's feet and Dallas' Remi Elie poked in the rebound at 3:09 of the first period. 1-0 Dallas. The Sabres continued on with their possession and pressure registering the next five shots on goal. However, a seemingly harmless shot from the half-wall off the rush by Dallas was sent towards Lehner and it jumped his stick in the crease. The juicy rebound went right through Tennyson's legs in the blue paint and the Stars' Radek Faksa buried it. At the 7:07 mark of the first period Buffalo was now down 2-0. With Dallas smelling blood, the Sabres held their own until a breakdown in coverage left a trailer wide open in the slot on a Stars' rush. An ill-advised check by Kyle Okposo on his off side in the neutral zone left the right side of the ice wide open while the Stars had numbers. Dallas defenseman Stephen Johns slipped into the wide open area and teed up a feed from Gemel Smith to make it 3-0 Dallas just 10:27 into the game. A dumb penalty by Tennyson gave Dallas a man advantage and the league's top powerplay wasted no time making it 4-0 with just over seven minutes to go in the first period. So Housley is correct in that his team was playing pretty well but some bad bounces and broken coverage put his team in a hole against a very good team. However, he also needs to recognize that this team has a tendency to fall apart in dramatic fashion against good teams. Buffalo allowed three NY Islanders goals in a 2:47 span of the second period, which included back-to-back shorthanded goals, found themselves down 4-0 and eventually lost 6-3. The very next game New Jersey blitzed them for three goals in less than seven minutes of the second period, beginning with a shortie, and added a fourth to make it 6-1 after 40 minutes. Buffalo lost that game 6-2. Those were Games 2 and 3 on the season and Housley's team seemed to stabilize things in the blitzkrieg department until they travelled to Columbus. Trailing 1-0 with less than five minutes left in the second period, they allowed three goals in 2:59. Buffalo found themselves down 4-0 headed into the third and lost 5-1. On the bright side, they have shown that they can come back from large deficits. Twice in Boston they were trailed by three goals and the came back to win the game in overtime, but that has proven to be the anomaly 14 games into the season. Housley has been unable to get his team to buckle down when the other team is putting on the pressure. Much of it can be attributed to the blueline on down as he has a depleted defense-corps while his goaltending has been inconsistent at best, awful at worst. You can add the forward ranks into the equation as well. As a group they haven't been scoring, or worse haven't been putting themselves in the bloody nose areas to score, their coverage on the back check has left much to be desired and they've been caught cheating up ice, especially when finding themselves down by a couple of goals. Having said all that, and in a nod to small steps, the team has been playing better as of late. After that clunker in Columbus they played a very strong game against the San Jose' Sharks and arguably did everything right but win the game. They pounded the Arizona Coyotes through much of that game before allowing three third period goals while on their way to a 5-4 win. And even in Saturday night's fumbles, they scored to make it 4-1 with a little less than half the game to go and went on the powerplay :27 seconds later. So Housley's not crazy when he said that he's finding a lot of positives with his team, even in that 5-1 blowout loss to Dallas. However, the Sabres were a mess early in the season and still have a long way to go. Buffalo has managed to play some pretty good hockey at times but has yet to put together a complete game and come out on the winning end. And they're still subject to goals in rapid-fire succession. This team has been able to move the needle from the poor play early in the season to somewhat respectable, but extremely inconsistent. Injuries need to be factored in as does the dead roster weight they're carrying and a style of play that doesn't seem to fit a number of players, especially up-front in the bottom-six. With all that being said, what should they do at this juncture of the season? Some are calling for a roster shakeup, which is a very reasonable call. Evander Kane's name inevitably comes up in the conversation as he's an impending free agent who got off to a whale of a start. Regardless of which side your on, the trading of Kane doesn't represent a shakeup as it's pretty much expected that he'll be gone if the Sabres are out of the playoff race. Moving Sam Reinhart would shake things up. Reinhart. a second-overall selection in the 2014 NHL Draft by Buffalo, got off to a very slow start this season but has been playing much better as of late. And it's highly doubtful that the Sabres would move a player like Ryan O'Reilly unless it was tied to a player in the John Tavares realm. That's not to say that O'Reilly is Tavares, but he's still considered one of the top two-way centermen in the league, despite his slow start this year while playing for the league's 29th place team. Unless Sabres GM Jason Botterill has something in the works, what we see is what we've got in Sabreland. For now. Although Botterill and Housley can change the dynamic of their struggling team by adding some youth with speed and skill to the lineup via Rochester. They did that with Justin Bailey and the team came out of it's early-season doldrums. After going 0-4-1, Bailey scored Buffalo's first goal in Anaheim and the team went on to win their first of the season. Although he shouldn't be remotely be dubbed the savior, the team did go 3-3-1 with him in the lineup before he went down with an injury. Buffalo called up Nicolas Baptiste on November 1, but put him in the pressbox for the win at Arizona and the loss at Dallas. Yet to be called up is defenseman Brendan Guhle. The 20 yr. old has really begun to pick up his game in Rochester and would add some needed speed and puck-moving ability on the back end. Guhle has eight points in 11 games for the Amerks thus far scoring both of his goals and adding four assists in his last five games. It should be noted that the Sabres have yet to get a goal from a defenseman this season. Someone on hear said that you won't know what a team is really made of until after November, which is a statement that can easily be agreed upon. 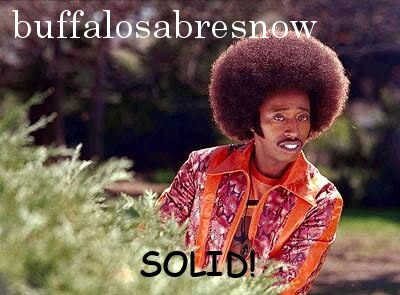 Right now the Sabres are trending in the right direction but still have some serious kinks to work out and still need an influx of talent. There are 11 games to play in November against a stable of formidable teams including tomorrow night's matchup against the Washington Capitals. That could be a defining stretch and may ultimately give us the answer as to whether a shakeup is coming (and if so, how much of one) or they'll simply remain on course.